MANHATTAN (WABC) -- Gingerbread houses are pretty cool to look at, but how about one you can actually walk into? 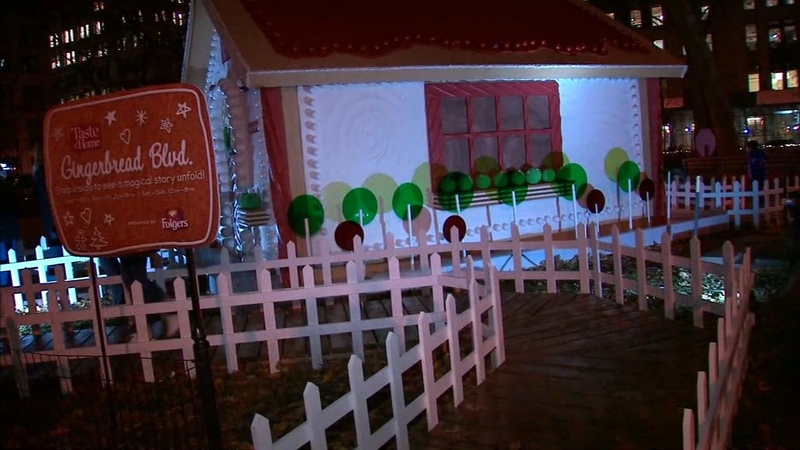 "Taste of Home" opened a life-size gingerbread house in Madison Square Park Thursday. The outside is adorned with candy. Walk-through a life-sized gingerbread house. Inside, visitors find a 4d immersive storytelling experience, complete with the smell of gingerbread and chill of a snowy day. The house is open through December 20th.